Beautifully presented ground floor main door 2 bedroom property in modern development. The property consists of a large open plan living room kitchen, with neutral decor and laminate flooring; the room is further complemented with contemporary furniture. There is direct access off the living area onto a private decked patio area. The kitchen has a selection of modern units with all appliances. 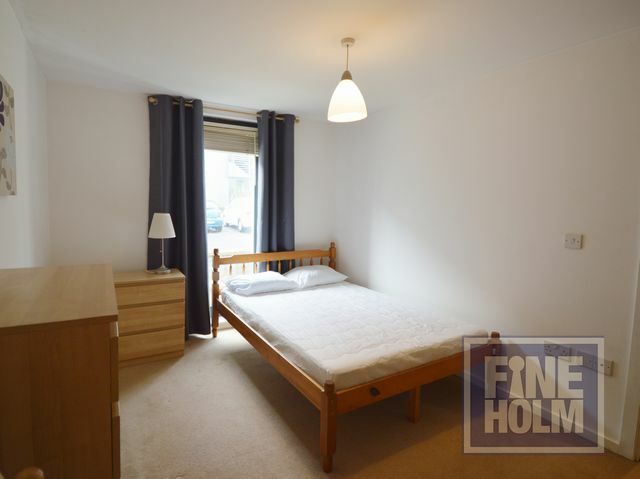 There are 2 very good size double bedrooms, each with built in wardrobes. These are in contemporary decor and with neutral carpets. The bathroom has a 3 piece white suite with shower over bath and is a great size. The property further benefits from GCH and double glazing. There is also a communal bike storage area that can be accessed. Parking is available, and there is limited free paring outside the property with a small additional cost for secure parking very close by. The property is located in Granton, with local amenties including a gym, and supemarkets. Excellent bus links directly into town. A very well kept property LANDLORD REGISTRATION 570544/230/14081 & EPC RATING T/F.